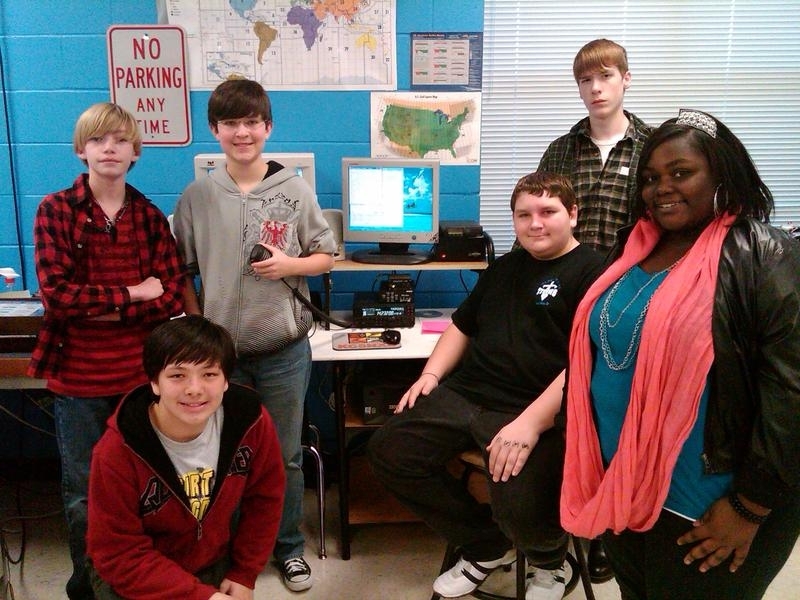 Mississippi middle school students take Amateur Radio to the edge of space. The Olde Towne Middle School Radio and Technology Club, KC5NXD (RTC) in Ridgeland, Mississippi set off on an adventure this year by launching a balloon into the near-space region of our atmosphere. Over the past year, I have researched many different technologies, attended the ARRL TI-2: Space in the Classroom school in Dayton, Ohio and found many ways to get the students involved. The inspiration for this idea came from the ending of the NASA Space Shuttle Program. The club formed a major partnership with Mississippi State University (MSU) in an effort to enrich the students with science, engineering and hands-on skills. Members of the Aerospace Engineering program in the Bagley College of Engineering agreed to help get this project off the ground by providing manpower, helium, filler mechanisms and parachutes. But the real driving force for this project has been the students whose efforts at fundraising and scrounging parts made the project work. Science Team Director Bobby Robinson was invited by RTC to form a science team for the project. Robinson and I assembled a large group of students to interview for positions on the team. The students sent letters of recommendation and potential science experiments to be performed during their near-space adventure. The students were informed of the potential work required to design a science payload and then to collect and analyze the experimental data and flight telemetry. During the interviews three students, Shelby Baldwin, Vidisha Gangidi and Sheridan Dryden, stood out from their peers for their potential to become scientists. This three member science team came up with experiments testing time differential, battery endurance, marshmallow expansion, seed propagation, rubber band elasticity and an attempt to capture solar particles on undeveloped film. The science team also devised sensors to measure temperature and pressure versus altitude. 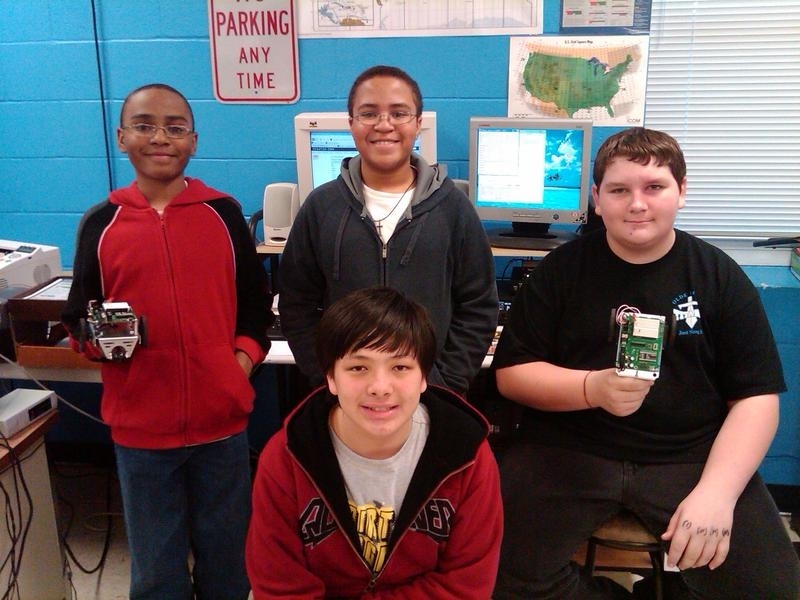 As a member of the Jackson Amateur Radio Club (JARC), I organized the members to help with the student project. As the time approached, the JARC members started to organize advance search teams and communications for the event. Many hams from JARC around Mississippi and Alabama volunteered to help. The balloon carried enough telemetry to be found by at least four different methods. The equipment chosen to go aloft was APRS, HF APRS, 2 meter voice beacon, SPOT Satellite Tracker, GOPRO Hero HD Camera and newly designed 2 meter antennas. As the early morning hours of March 26, 2011 ticked away, students, parents, radio operators and spectators started showing up. The launch took place at the Madison County Career and Technical Center of the Madison County School District. The morning was partly cloudy with winds of 10 to 15 mph and the temperature about 70°. I led the effort to assemble the equipment with the RTC members while Robinson led the science team in their data recording. The payload chain (a long line attached to the bottom of the balloon to which the equipment is attached) was laid out and components were added as they were taped and secured. The high-definition camera was placed at the top of the chain for more stability while the other heavier components were placed lower in the chain. The 20 meter HF telemetry unit was placed in the middle of the payload chain so that the antenna elements could be attached in both directions up and down the chain. The science experiments, SPOT tracker and APRS unit were placed at the bottom. The whole payload chain was nearly 50 feet long with a 6 foot parachute just below the balloon. As the 1000 gram balloon was filled with helium a problem arose. The group soon realized that it was nearing the size of the bay door. The balloon and the helium had to be carted slowly out the door to complete the inflation process outside in the wind. A whole tank of helium was used yielding a lift of nearly 14 pounds. As the wind whipped the balloon around the crowd held their hands up to keep it from hitting anything. Meanwhile, the MSU staff continued to tie and secure the balloon to the payload. We verified that all the equipment was active and the checklist was reviewed quickly to make sure everything was completed. Students, staff and spectators walked the balloon to a nearby grass field where the countdown started. At zero the balloon ripped to the sky at over 1200 feet per minute! With the balloon well on its way, the crowd celebrated while watching it race skyward. As the supporters started to track it online, a group of us went to rendezvous with the advance search teams near Meridian, Mississippi. We stayed in touch with the advance crews via text, cell phones and long-range Amateur Radio repeaters. The students, Adam Lewis, KF5JSY, and Martin McCandless sat in the back seat watching the APRS readouts on their smart phones until the cell signals were lost. Eventually only the Amateur Radio equipment was able to maintain communications. The balloon burst near Union, Mississippi at a peak altitude of 92,098 feet. One would think that it would be a short hop to the landing zone, but the balloon traveled all the way to a point 9 miles northwest of Livingston, Alabama. As our group approached the landing area, I made contact with the advance search teams listening to them talk to Jim Coker, AE5SK, near York, Alabama. Jim helped locate property owners and contact them for permission to enter the local properties. Some of the teams had already heard the APRS signals directly, obtained permission and set out on a hike to find the payload. The first hikers in the woods were Rez Johnson, K1REZ; McLeod Johnson, W5JMJ; Ted Anderson, NC5Y, and Heather Purvis, KF5COJ. By using the GPS coordinates from the APRS unit and simple direction finding techniques, they hiked within 80 feet of the payload and started searching the trees. They were in a heavily wooded area and stayed in contact with other teams nearly a mile away via ham radios to find out what the parachute and payload looked like. As they searched, Heather, KF5COJ, and Andy, NC5Y, spotted a piece of the balloon in the trees. The property owner arrived and offered to drive out and return with a few hams and also let a truck or two follow. A mile or two into the heavily wooded and wet farm, the rest of the crew set out on a hike to rendezvous with the four who found the payload. Bill Richardson, N5VEI; Coley Richardson; Bobby Robinson; his daughter Kimberly Robinson; Adam Lewis, KF5JSY; Martin McCandless; Jim Coker, AE5SK; Jonathan Coker Sr; his son Jonathan Coker; Leo McGehee, K5LEM; Shane Wilson, N4XWC; Jim Rapp, WS7EOC, and property owner Leslie Mixon all trekked over a mile through the woods to get to the first recovery team. The payload was about 30 feet up in cedar trees. Jim, AE5SK, and Shane, N4XWC, started to climb the tree and Shane wound up climbing to the very top of the tree to pull out the APRS, HF radio and the camera pods. After a little celebration and pictures the group split up and started their trip back to the main road. While one team got to the road and was picked up by Tim, N5UDK, the others went to their trucks and drove into an unhappy adventure. Two of the trucks got lost and one went through a mud bog only to slice open both right side tires on a piece of metal buried in the mud. The disabled team contacted the teams who had gotten out without incident. The other teams then went hunting for the disabled truck. Using radios and landmarks the disabled teams were found after about an hour of searching through many pastures and trails. The damaged truck had to be left in Alabama for repairs. Everything was recovered and disassembled on the ride back to Mississippi. Students Adam and Martin recounted all of the fun and adventure they had throughout the day. Both talked about the balloon and its trip across the state. Adam was also excited because this was his first time out in the country to see real cows. Martin talked about how the radios played a role and how it was fun going over the hills and through the woods. Immediately following the recovery, Robinson had to make some initial observations of the science payload. He collected data on the wet sponge test (an experiment to measure the difference in the rate water evaporates between the near-space environment and the ground) to prevent any evaporation from taking place. He also checked the battery voltages upon returning to his truck. The data collection had begun. The students came to school early on Monday, March 28 to commence making scientific investigations of the experiments. Science students became scientists. A group of seeds, submitted by the Girl Scouts of America troop number 5747 from Madison, Mississippi, were also included on the flight. These seeds had been on the Space Shuttle Endeavor, STS-118, but had never before been exposed to the extremes of near-space conditions. The students placed half of the seeds in the balloon while the others stayed on the ground as controls in one of their experiments. Undeveloped film was sent up to attempt to find cosmic radiation and high speed particles. The film collected several particles that left blazing trails across the film, while others showed what appeared as an aurora of light. The science team was thrilled. The telemetry was invaluable and was heard as far away as Washington State. The science experiments are being analyzed to see if there were significant changes in them. Some science classes are using the pictures to teach weather and cloud identification, while others are teaching slope calculation with the telemetry from the APRS unit. The adventure was a blast but the whole project could never have happened without the support of the Amateur Radio community. The logistics involved at the launch site, the telemetry and the total recovery of the payload relied almost totally on Amateur Radio. In the end the balloon’s 92,098 foot climb and 109 mile trip resulted in amazing pictures of the Earth from a very high perch above Mississippi. Overall the balloon flight was a huge success and the students are already lining up for next year’s radio club and science team membership. Photos courtesy Bill Richardson, N5VEI. Bill Richardson, N5VEI, an ARRL member, was licensed in 1991 and currently holds an Extra class license. Bill is interested in working DX, satellites and especially digital modes such as JT-65 and PSK. Bill has been a teacher at Olde Towne Middle School in Ridgeland, Mississippi for 5 years. He is a senior board member of the Jackson Amateur Radio Club in Jackson, Mississippi (the largest club in the state). In previous years he held the positions of vice president in the Hattiesburg ARC and president of the Central Mississippi ARA. Bill has attended the ARRL Teachers Institute on Wireless Technology I and II, where he learned critical skills to bring radio and technology into his school. While bill was an active ham in Jackson, he established the Olde Towne Middle School ARC. The club meets twice a week where the members operate HF radios, Parallax Boe-Bot robots and other technologies. With the exception of post-secondary school launches, we were the first to launch a near-space balloon in Mississippi. The school club has been recognized by two local newspapers and a city magazine for the student involvement in technology and related activities. Bill can be reached at 121 Greenbriar Dr, Madison, MS 39110-8749, n5vei@arrl.net.